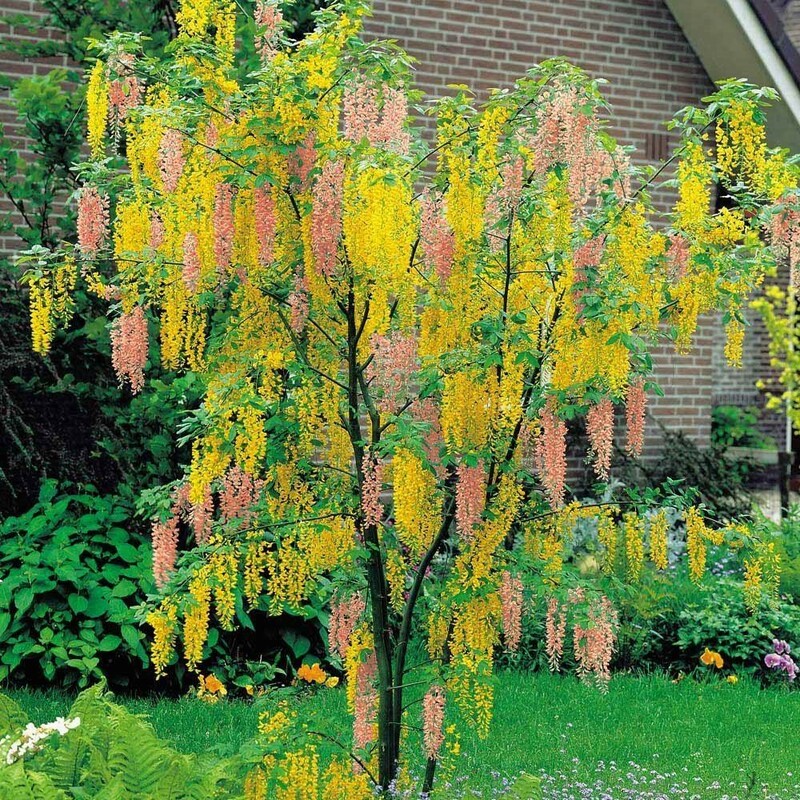 This is an incredible plant, and it would be easy to forgive mis-identifcation of a brightly coloured clematis scrambling through a normal yellow laburnum tree from a distance if you did not know it was an Adams Labrunum. 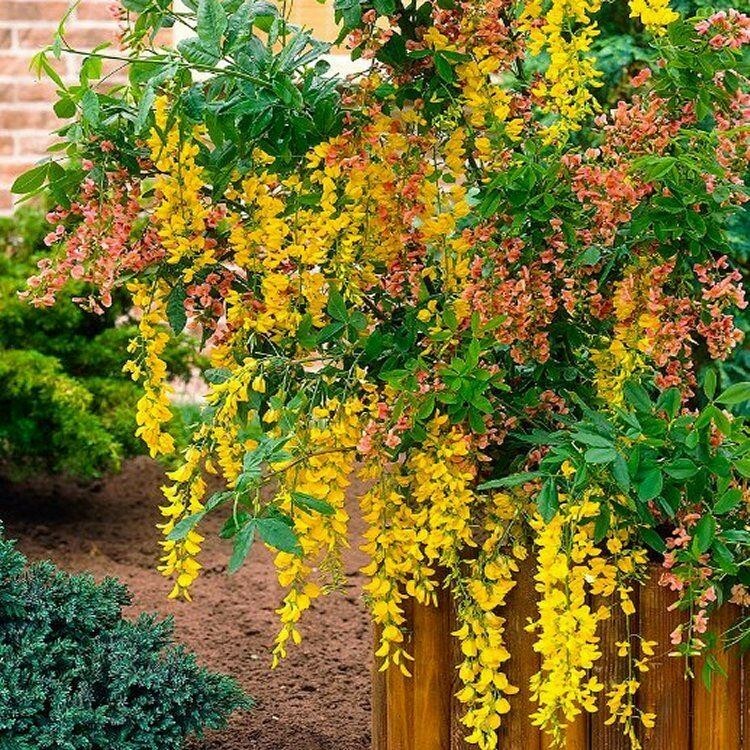 A deciduous tree, featuring both rich pink and golden canary yellow flowers on the same branches this is a horticultural rarity, discovered by chance when a French nurseryman unwittingly, yet effectively produced a hybrid between Laburnum and Cytisus purpureus - also known as the Purple Broom. 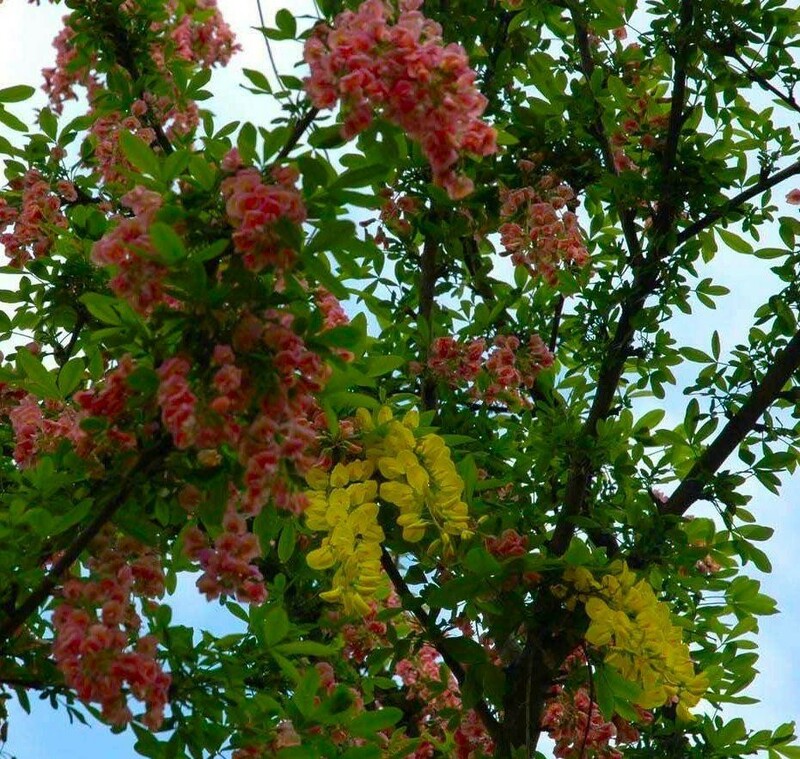 The result is an abundance pendulous flowers, which give the tree an elegant look, with the blooms produced in shades of yellow, mauve-pink and sometimes salmon pink. 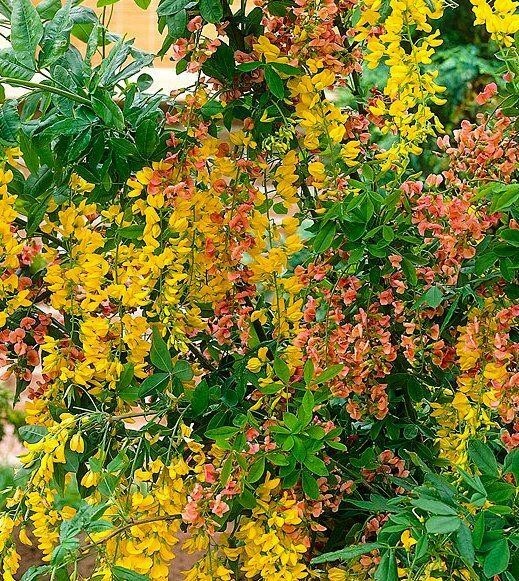 These attractive flowers are produced from late spring through to early summer. Hardy and low maintenance, grow this spectacular plant as a specimen tree to appreciate its unusual flowers from all angles. Adam's Laburnum is slow-growing so is an ideal tree for the smaller garden, reaching four to eight metre tall at maturity if left unpruned. Vibrant young trees supplied potted in 2-3 litre containers at up to around 60-100cms tall. APPLE TREE - Multi-Variety Fruit Tree - APPLE - 5 varieties on one Tree! SPECIAL DEAL - PEAR TREE - Multi-Variety Fruit Tree - PEAR - 5 varieties on one Tree!